The fishing starts 30 minutes before sunrise each day and weigh-in is at 4 pm an Saturday, and 2 pm on Sunday, at Patriot Park in Pigeon Forge, with prizes given for the cumulative catch over two days. Besides cash, other prizes and drawings include fishing equipment and trophies, gift certificates and local attraction passes. 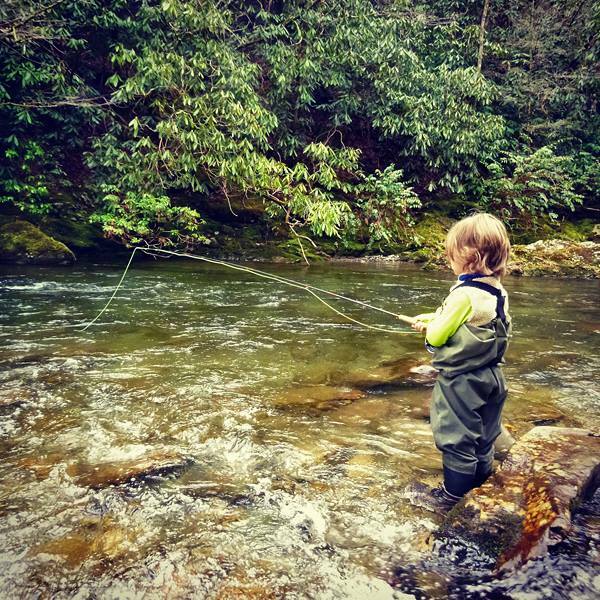 The waters fished are premium streams with comfortable access, meandering through Gatlinburg and Pigeon Forge, and Great Smoky Mountains National Park. You can say you fished the West Prong Little Pigeon River, Roaring Fork, LeConte Creek and Dudley Creek. There are also children-only patches of water – children are especially welcomed to this hugely family-friendly event, as well as beginners. Entrants must register in advance and only registered entrants may take part in the contests. An online registration page is at the organizer’s page at Rocky Top Outfitters in Pigeon Forge. You can also register at Smoky Mountain Angler, 466 Brookside Village Way, on East Parkway in Gatlinburg’s Winery Square. You can also call 865-661-FISH for more information. A fishing license is required (different for residents and non-residents) and state and local regulations apply. You can get a Tennessee fishing license online at the Tennessee Wildlife Resources Agency website. Only single-hook lures, and flies as bait are permitted in the tournament, with a 5-fish limit. The Smoky Mountains offer great fishing, with almost three thousand miles of streams in the national park, of which some 600 miles are home to trout. So it’s a weekend of fishing and fun, as well as one of the best ways simply to enjoy the scenery and feel of nature – which exist in abundance in this area. 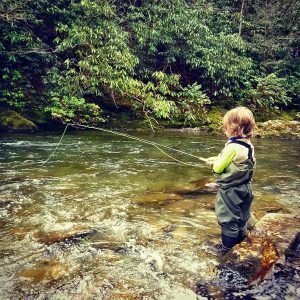 For general information about fishing in the area, check our feature pages on Gatlinburg Fishing and Fishing in Great Smoky Mountains National Park.